A massive re-write of Veins, this version uses many features of modern C++ and OMNeT++ 5, many new simulation models, and can run up to 10x faster. Among many other new features, Veins now manages traffic lights, supports unicast communication, and simple unit testing. 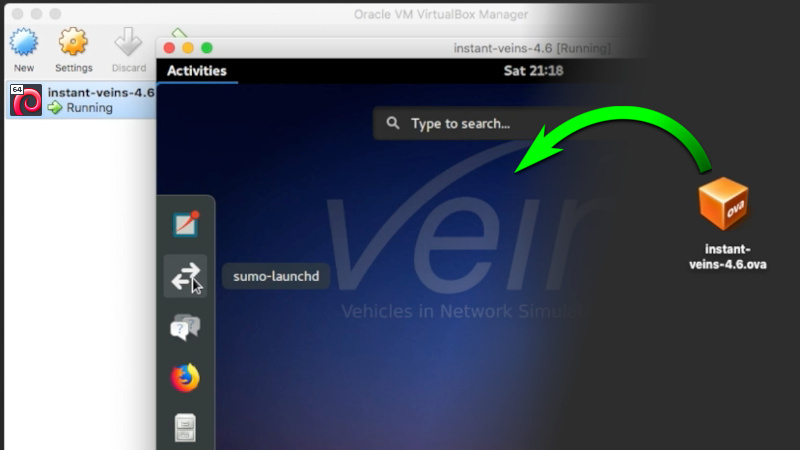 One-click installation of Veins as a virtual machine, fully configured and ready to run the tutorial. Try out Veins in 5 minutes. A comprehensive textbook on IVC, published by Cambridge University Press, is now available. Topics range from basics all the way up to simulative performance evaluation and beyond. The rich graphical user interfaces of OMNeT++ and SUMO make it easy to see what happens in a simulation, when it happens. They also allow interacting with the simulation. 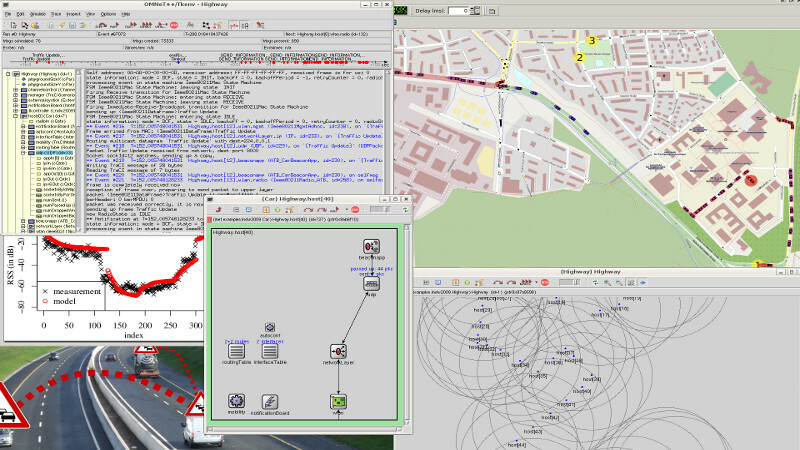 The network simulation component makes it possible to employ validated, computationally inexpensive models of shadowing effects caused by buildings as well as by vehicles. 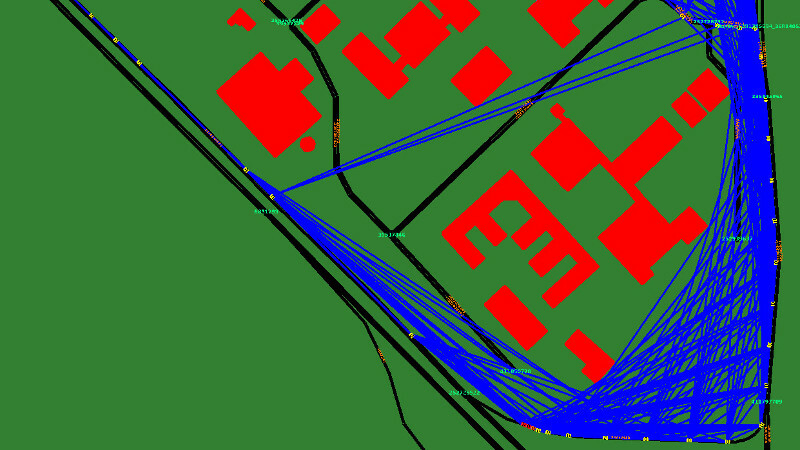 Veins is an open source framework for running vehicular network simulations. It is based on two well-established simulators: OMNeT++, an event-based network simulator, and SUMO, a road traffic simulator. It extends these to offer a comprehensive suite of models for IVC simulation. If you use Veins or one of its component models, we would appreciate a citation of our work. 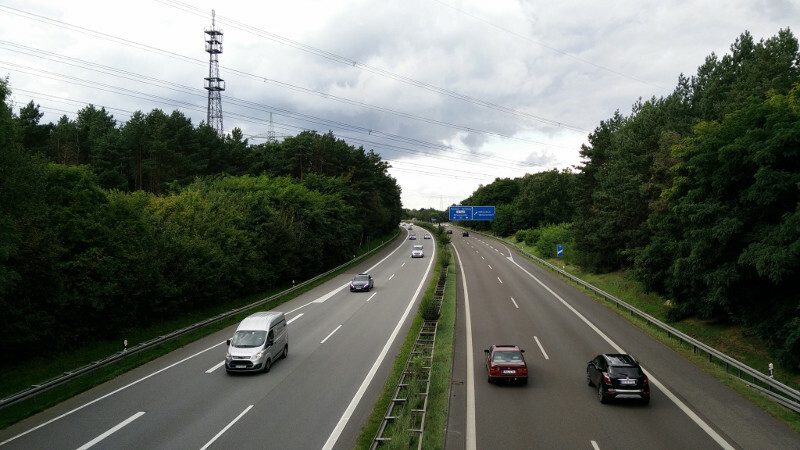 The Veins framework includes a comprehensive suite of models to make vehicular network simulations as realistic as possible, without sacrificing speed. The GUI and IDE of OMNeT++ and SUMO can be used for quickly setting up and interactively running simulations. In the screencast above, blue cars are heading west. 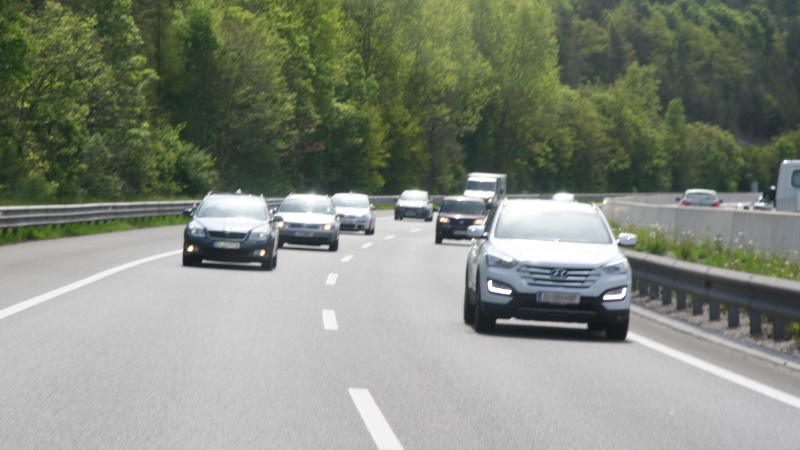 An accident is simulated at ①, along with a simple protocol informing drivers of jams. This makes it possible to investigate dynamic re-routing around an accident. Road traffic simulation is performed by SUMO, which is well-established in the domain of traffic engineering. Network simulation is performed by OMNeT++ along with the physical layer modelling toolkit MiXiM, which makes it possible to employ accurate models for radio interference, as well as shadowing by static and moving obstacles. Both simulators are bi-directionally coupled and simulations are performed online. This way, the influence of vehicular networks on road traffic can be modeled and complex interactions between both domains examined. 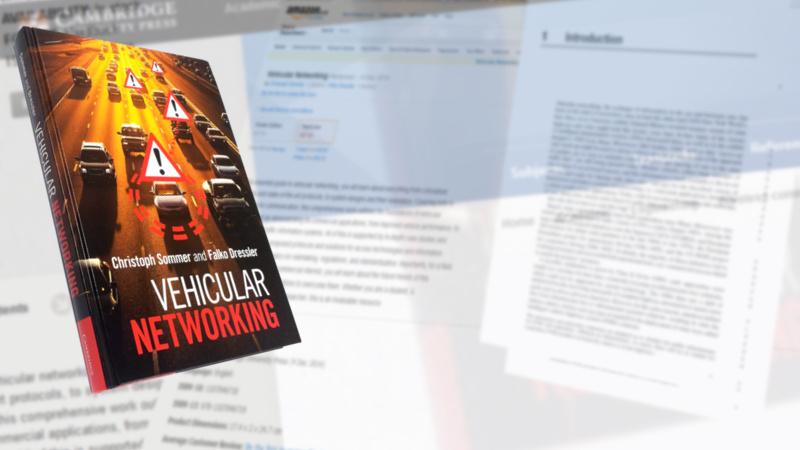 Domain specific models for vehicular networking build on this basis to provide a comprehensive framework that is still easy to learn and use. Veins has its roots in a research project by the same name, targeting enhanced simulative performance evaluation of vehicular networks. While this research project is by now finished, the Veins simulation framework, parts of it dating back to early 2006, is still under active development as Open Source software. Its ever growing user base is spanning five continents, including universities, governmental bodies, and independent research institutes - as well as research and development centers of the major automobile manufacturers.